The only thing that should come out worse for wear after a target shooting session is the target -- and certainly not the shooter’s lungs. 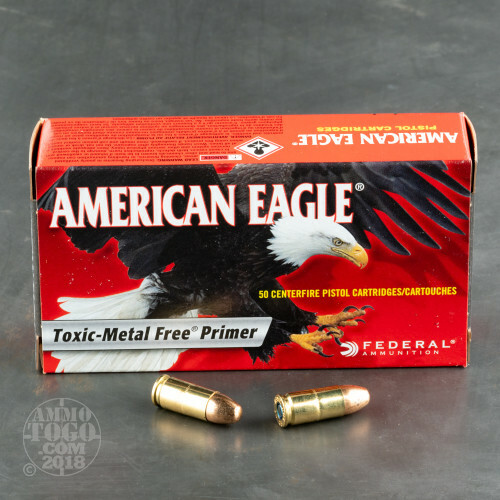 If you’re going to hone your skills at an indoor range, then you’d be well advised to stock up on these 9mm rounds from Federal’s American Eagle line of ammunition. Their 147 grain projectiles don total metal jackets, so their lead cores are prevented from evaporating when confronted with hot propellant gasses. Furthermore, these rounds feature primers that are devoid of toxic metals. As the result firing these rounds won’t envelope you in a mist of unhealthy elements, which increases the likelihood that you’ll live a long time so you can keep shopping on AmmoToGo.com. 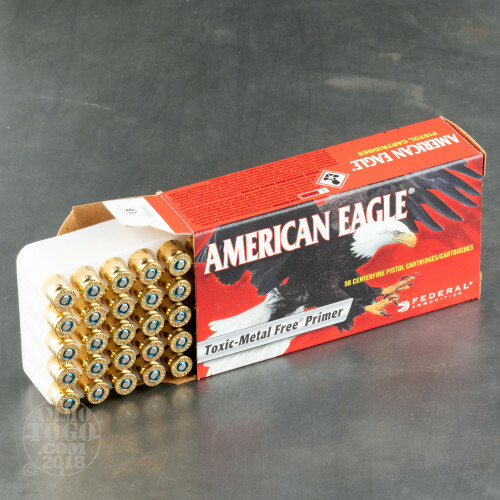 American Eagle ammo is priced to sell, but Federal wouldn’t cut corners to achieve that. 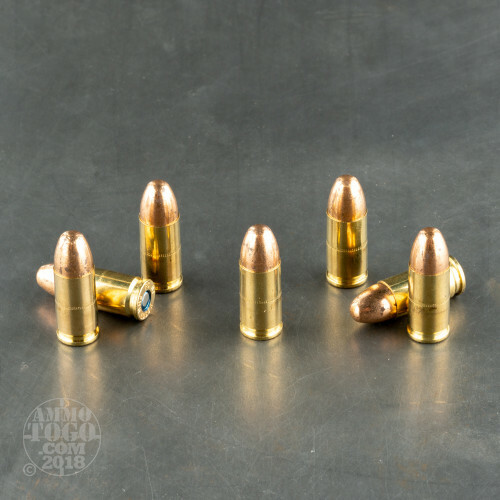 Each of these rounds’ brass casings are virtually identical to one another in terms of their dimensions and quality, as are their primers and propellant loads. As the result this ammo provides remarkably consistent performance which will let you practice with confidence.